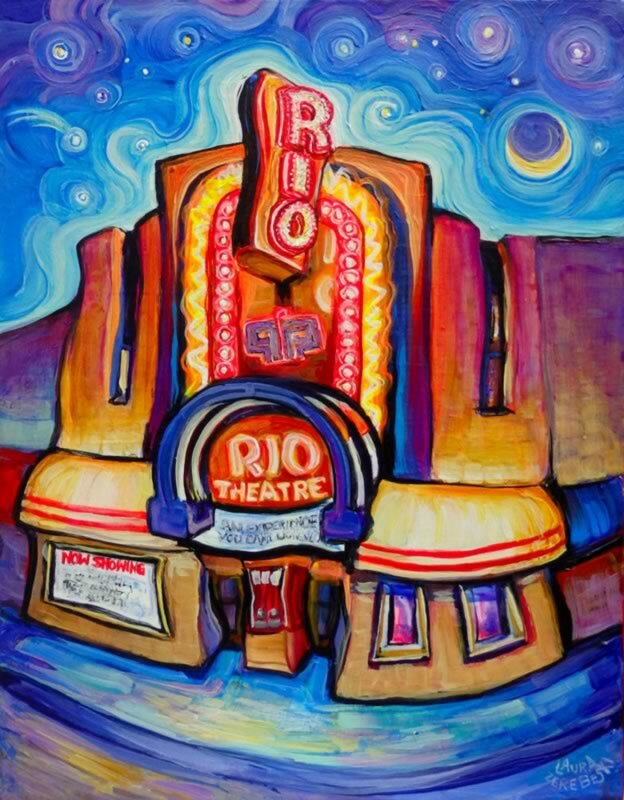 The iconic Rio Theatre on Broadway and Commercial is one of Vancouver’s most beloved multimedia venues. It is an independent movie theatre — one of the last remaining in Vancouver — and it screens first-run features as well as cult classics, science fiction, and horror movies to enthusiastic and devoted late-night audiences. It has also reinvented itself as a live performance venue for burlesque, comedy, improv, spoken word and variety shows. Over the last decade, land banking and rapacious development have sent Vancouver property values spiraling out of reach of most lower and middle-class residents. Local businesses and cultural centres are endangered or already rendered extinct under the burden of triple net leases and impossible property taxes. Once-thriving communities are corroded and struggling for survival. Every single Vancouver resident has seen historically significant places disappear but the Rio’s operators don’t want to disappear. They are fighting the odds and inspiring the community to help. By doing so, it reminds us all how community works in the first place. Located at: Private collection. This was auctioned off at the Vancouver Art House #SaveTheRio Launch Party on March 29, 2018. Limited edition prints are available via the #SaveTheRio campaign.